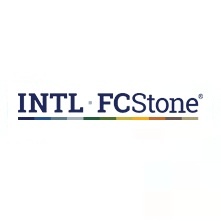 INTL FCStone Inc., a versatile developer in Forex, commodities and other financial services, has named Edward J. Grzybowski as the newest member of its Board of Directors, ahead of a shareholders meeting slated for early 2015. INTL FCStone Inc. and its subsidiaries deal with a variety of asset classes worldwide – it recently reported staunchly lower volumes across its Forex and prime brokerage business, underscoring a tough quarter for the group. As one of the Board’s new Directors, Mr. Grzybowski ascended to his new role having risen from the ranks of an institutional investor. Prior to the new position, he was the Chief Investment Officer of TIAA-CREF, a role he also maintained while being an active board member. “The business and investment expertise that Ed brings to the table will, I believe, be a tremendous asset to our organization. My fellow board members and I are looking forward to working with him and drawing on his insights and experience,” added John Radziwill, Chairman of the Board of INTL FCStone, in an accompanying statement.